We seemed to have arrived at a great time of year as we have celebrated a number of very special cultural events in the last month. The first event we experienced was Día de Independencia which was September 15th. It is an important holiday here celebrated with parades (traditional dance troops and bands), activities in town, and special school events. 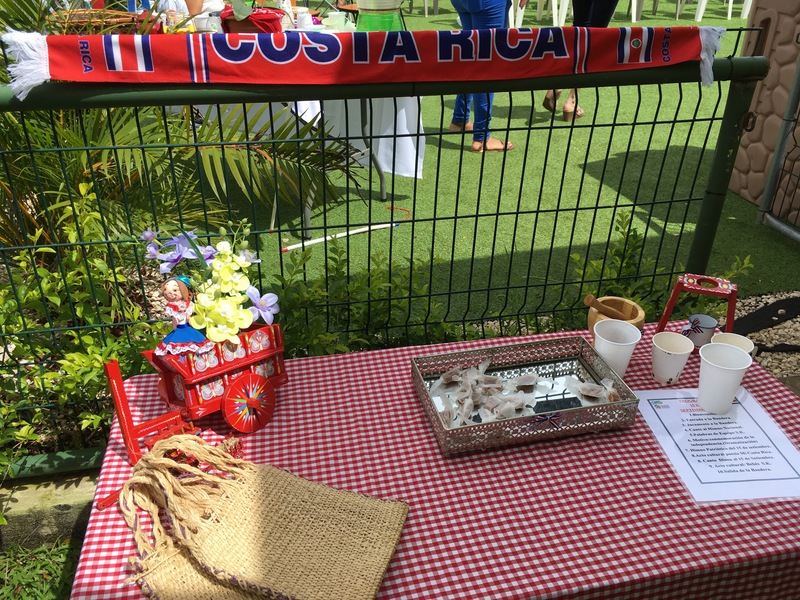 At Oscar’s school, each student brought a ‘farol’ (lantern) to school and many of them were handmade with traditional symbols of Costa Rica (casa típica, oxcart, jungle animals, etc.). The symbolism of the farol comes from a woman named Dolores Bedoya who carried a lantern through the streets of Guatemala on the evening of September 14th, 1821 to urge people to support independence from Spain. All of Central America was still under Spanish rule at that time. 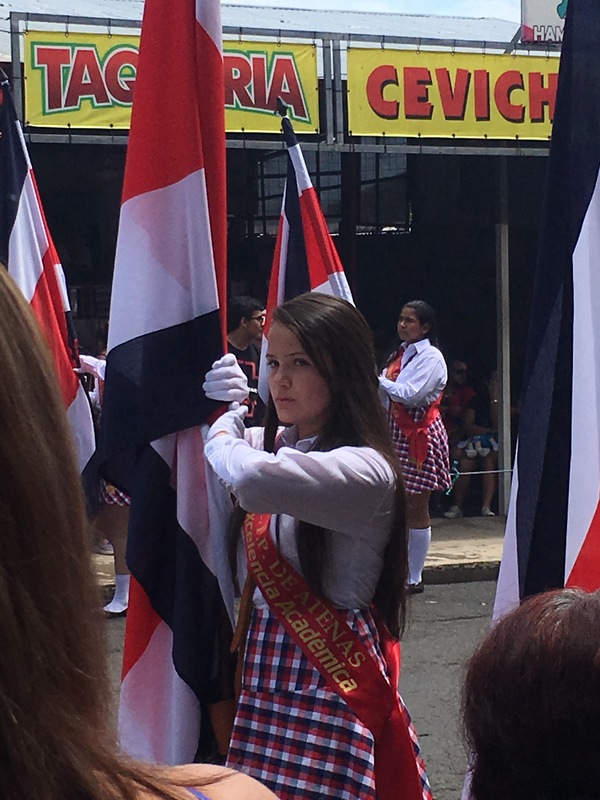 The message that independence was granted didn’t arrive in Costa Rica until October 13th, but all of Central America celebrates September 15th, 1821 as their independence from Spain. Alice’s teachers also asked each student to bring a farol made of recycled materials. I am very proud to say that Palmer took this very seriously and Alice/Palmer WON the contest for having the farol with the most recycled materials. I think the teachers had a good laugh. It wasn’t the prettiest and the ‘theme’ was very vague, but he got the job done. We now know what we’re in for next year and working on our ideas already. 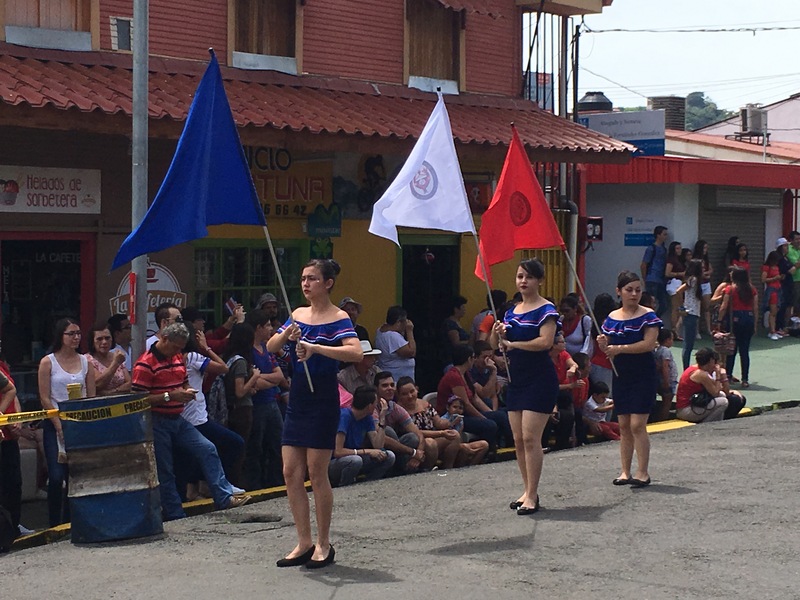 Alice’s school also held a special ‘acto’ (ceremony or special event) for Día de Independencia for the families of the students complete with traditional dances, special outfits for the kids, a small parade, typical food and singing of the national anthem. It was amazing how much thought went into each aspect of the event and how passionate each of the teachers were in making it a success. Oscar and classmates with their ‘faroles’ getting ready to parade around school. Mrs. Karen (director of Alice’s school) doing a traditional dance. Alice’s winning ‘farol’ – hahaha!